Do you have a TESOL, CELTA or TEFL qualification? Have you qualified in the last year? Do you want to use your qualification to help everyone learn English? If so, apply now for our teaching training scheme! Find out more below or at our new dedicated Teach Seville website. 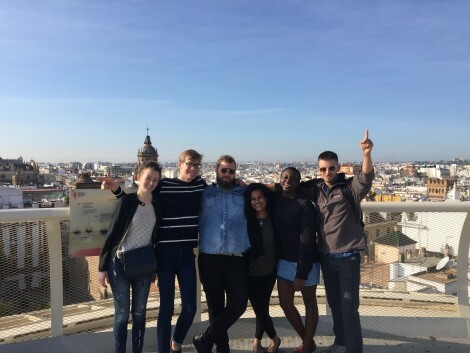 Teach Seville is an EU funded ERASMUS PLUS scheme, run in partnership by Red Ochre in London and 3Si in Seville plus partner academies in the UK and Andalusia. Teach Seville will provide 60 placements in 2018-2020 for you to use your teaching skills in English academies in Seville, Spain. Placements last 97 days – or almost 14 weeks. 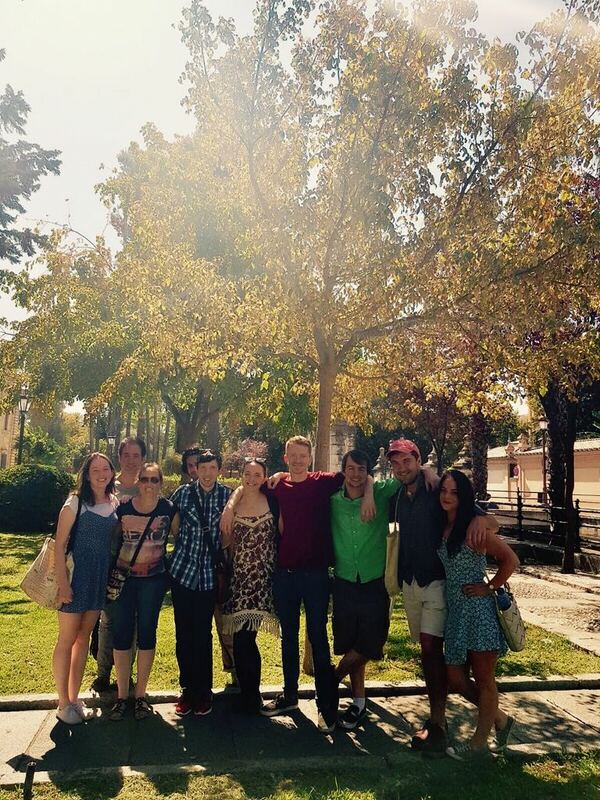 Group two are currently in Seville. Applications for group three (April 11th – July 14th 2019) are now open. Applications close at 10am on Friday 15th February 2019. For future placements please email us and let us know your interest and we will tell you when applications are open for the next round. You will get full expenses paid. That means we pay for your accommodation, flights, bills, 24/7 in country support, insurance and you get a grant of 100 Euros per week (transferred in Sterling) for your food and local travel. Train and teach in well known English academies and schools in Seville: OUIEA, Conecta Idiomas, OC Languages, Lope de Vega Colegio Yes, Sarah English or at our partners 3Si. We will tell you more about these during interviews and you are welcome to let us know if you have any preferences. Placements will vary but generally you’ll start off with an orientation week, move to shadowing activities before assisting and running your own classes. 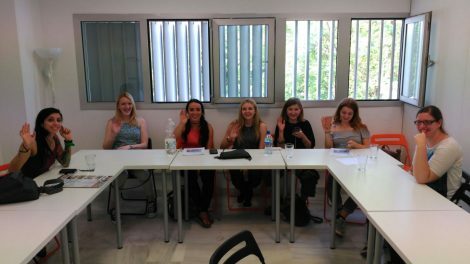 You can also read case studies of previous participants on Teach Seville, Tajah, Jude, Kurtis and Laura. You will also get to work as a group to run community classes at our community group partner. Your own room in an apartment in central Seville. 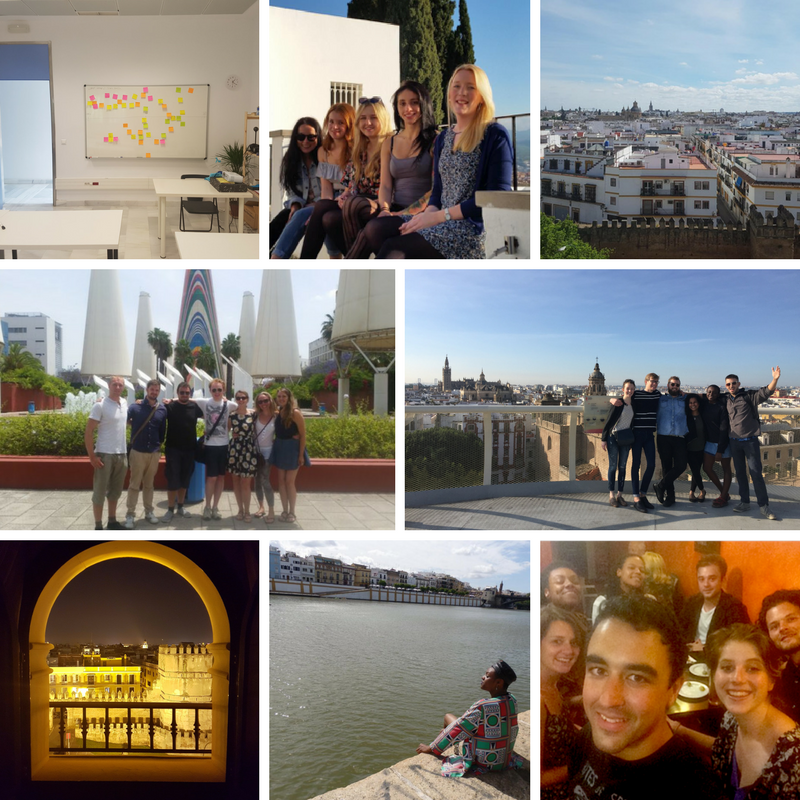 You’ll stay in the Macarena district of Seville with your own room and share a lounge and kitchen with two or three others who are also on Teach Seville. Continuous in country support from a friendly team who’ve done it. 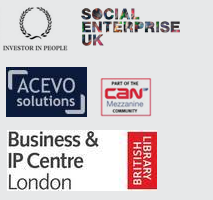 Our partners, Third Sector International are based in Seville. 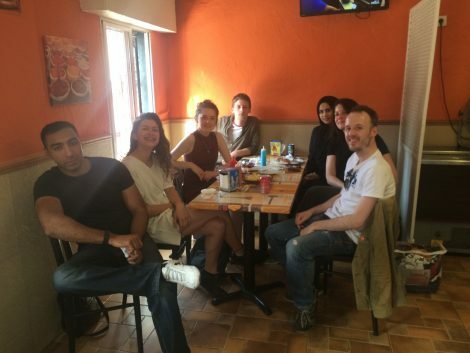 They are an Anglo-Spanish team full of staff that have teaching English qualifications. They’ll support you in your placement and your care whilst in Spain. This means day to day and week to week you will have support when you need it. Check out their Facebook page or watch this video about one of our participant’s experience on a similar scheme. Why have we set this up? In the UK, there is a need for teachers with high quality, internationally recognised English language teaching qualifications. Recent census figures showed that across England 1.7% of the population (900,000 people) have either no, or poor spoken English. These people face significant barriers in participating fully in local, national and European life. There is a need for high quality, trained teachers who can think creatively, but also with the ability to innovate and be entrepreneurial in how they teach, where and when. In this way, the percentage of the population with no or poor English is more likely to be decreased. And Seville, like many other cities across the planet has a significant amount of people who would love to learn English (perhaps from someone like you). If living in an incredible city like Seville with full support and funding, on a scheme that will likely not be around for much longer in the UK (post “Brexit”) isn’t enough…. We know that after qualifying, for most TESOL teachers experience is often isolated to ‘on the job’ progression. The need for innovative ways to reach and teach a variety of people means the placement can also provide training for participants to experience a variety of ways of practicing their vocation. And if you can help to teach the Sevillanos English, you’ll also be opening possibilities for them too. Anyone with a TESOL, CELTA or if not, a TEFL qualification gained after September 2017. You must be a UK National or other EU citizen. Due to funding rules we cannot accept applications from Spanish citizens (as this is the location of our project). Our criteria is focused on people who are kind, curious and committed to English teaching, to enjoying their time in Seville and to contributing something positive whilst there. We’ll then select candidates for Skype / telephone interviews which will take place soon after. It may take time, but we will be in touch with ALL applicants at some point to tell them our decision. Whilst we receive many applications and have limited resources, responding to everyone who applies is important to us.